I was living a seemingly good life. I was a stay at home mom, with the cutest baby. I was also laid off from my job right before giving birth, which turned out to be a blessing in disguise because I was able to stay home with my baby for a bit longer than I expected. I had trouble breastfeeding because he just wouldn’t latch but it that part of motherhood wasn’t detrimental. I managed a working pumping schedule, as I was trying my hardest to get him as much of the good stuff as I could. Things started to change slowly. Very slowly. I didn’t realize what was happening until I hit my breaking point. I became nervous driving, thinking I might get into an accident and hurt my son. The first time he fell off the couch (which now I understand is normal for newborns), I spent hours upon hours crying hysterically until my husband got home. I was starting to think I was a bad mother and constantly scared that something would happen to my little one. The worrying kept me up, which made any chance of getting past whatever this was harder. Less sleep means less of an ability to focus on the positive. There were two major incidents that led me to realize something was wrong. I didn’t realize I needed help but I at least knew something wasn’t right. My little guy managed to get himself hurt by wedging himself between the bed and the wall (he loves doing it now for fun). I tried getting him out and I couldn’t figure out how to release him from this compression. I was scared beyond belief and became hysterical. Here came those I’m a “bad mom” thoughts and I can’t even protect him from himself. Thankfully my husband was near by and assisted. He made it seem so easy but I spent hours inconsolable. I truly spent days without sleep after that. I kept having minor moments similar to these. The fear, worry and anxiousness consuming me. I kept it hidden as best as I could. I just didn’t understand what was happening to me and I found very few women talk about the difficulties of being a new mother. A few weeks later, my mother noticed something was terribly wrong and kept questioning me about what was happening. I was no longer able to hold it in and just had a breakdown in front of her. I was shaking, crying and wailing. I had no immediate reason for why this was happening and I felt completely out of control. Thank goodness she knew what to do. She called my husband and rushed me to the ER. The doctor’s there were as helpful as can be and diagnosed me with Post-Partum anxiety. I was prescribed medicine and given a reference for a doctor, then sent on my way. Anxiety, unlike depression, elevates my senses. I was always exhausted because my nerves were always on edge. Couple that with a baby and lack of sleep and I was headed for disaster. My anxiety centered around my son and my fears something would happen to him. Some medical professionals I spoke to saw this reaction as irrational because I was reassured I was a good mother but the fears kept creeping up. Even now, as I’ve been diagnosed with general anxiety, my son is my biggest trigger for an attack. I always want to make sure he is safe. After that huge episode, my mom stayed with me to make sure I rested. The medicine started to kick in and help some. Things were looking up. However, I had no clue how to manage this anxiety. Whenever I felt an attack coming on, I would almost always shut down the rational side of my brain and the streaming of negativity would go into overdrive. I needed to talk to someone but I couldn’t find any doctors who would take my insurance and if they did they were judgmental. I have found this to be one of the more difficult aspects of mental illness, you are given pills to manage what is holding you back but there aren’t many easily accessible resources for talk therapy. It took well over a year for me to find a process that worked for me. From the day of my diagnosis, it took me six months to find a doctor to work with. We changed my medications. I really started to look at what in me could be holding me back. I realized that my son’s safety was a trigger because my entire focus was on him. I needed to get back to my own interests and passions. I read a ton of books that helped me understand what I was going through. I started journaling every night. I incorporated a morning routine of mental work and exercise. I started aligning my work with my passions. Meditating and EFT Tapping were extremely useful. There are days I still need to be put in bed so that I can rest and manage my anxiety but overall, I see more pockets of stability. My anxiety is constantly present and I work very hard at managing it but there are days where I am just not able to do so. I am not a weaker person because of it. I believe I am stronger because I have finally accepted who I am and I love myself, anxiety and all! I believe in the power of gratitude and forgiveness as ways to help me grow. I spend at least 30 minutes throughout my day expressing gratitude for all the wonderful things I have in my life such as my husband, son, mother, family and amazing friends. I also have done a great deal of work on my story of forgiveness. I spend every day forgiving myself or someone else who may have done me harm. This has been critical for me because I finally removed that message I was constantly getting that I was a “bad mom”. I forgave myself for not being perfect and gave myself permission to trust that I am doing the best job as a mother as I possibly can. I am offering you a no opt-in freebie. I want to offer you support as you find your story of healing. I created a forgiveness map for you to use. When negative thoughts pop in your head or someone says something that hurts you, focus on the power of forgiveness. You are good enough, this world needs you. The attached workbook walks you through the power of forgiveness and how to use the map. Sending you love on your journey. 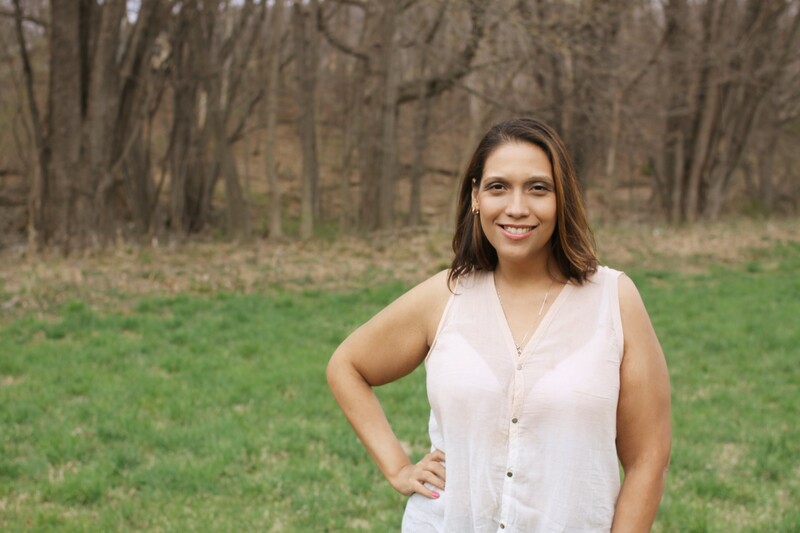 Elly Blanco-Rowe is an Empowerment and Self-Love coach working with women who are looking to be better aligned with their passions and true purpose in life. Her specialty is supporting mothers of young children develop a stronger connection with their values so that they can practice self love and build a life aligned with who they truly are. « Am I trying to hard to fit in?